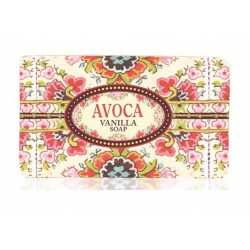 A vanilla soap by the Irish brand Avoca. Fragrant and smooth vanilla... a favorite scent! Vanilla calms down the senses with its softness and silky texture. A palm oil and coconut oil soap. 100% from vegetal origin. This soap has not been tested on animals. The Irish family-run business Avoca is one of the world's oldest surviving textile manufacturing companies and Ireland's best loved stores. In 2013, Avoca is listed in the top 100 Best shops outside London by English Vogue! 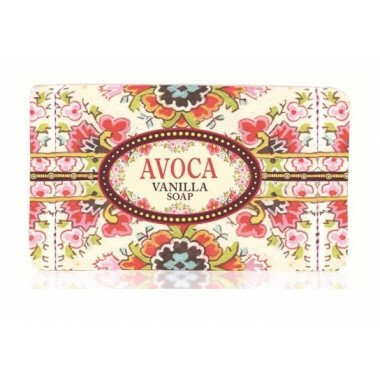 Avoca’s hallmark product is the famous plaid throw, but they also developed their own cafés and offer Houseware products – from kitchen cookbooks to soaps. Since 1723, Avoca has been weaving bright coloured plaids, throws and blankets as part of their identity, with natural fibres such as lambswool, mohair, cashmere, angora and even cotton and flax, for cosy and pretty house interiors worldwide. Avoca’s expertise concentrates 300 years of savoir-faire and knowledge of local fabric and dye (The Irish village Avoca sits in Wicklow County, 70 km off Dublin). Their designs are deep-rooted in Irish heritage, society and tradition. Three centuries learning about hand weaving allowed for the finest quality to flourish and new ideas to blossom, constantly adding to the beautiful range of plaids, throws and blankets crafted by the brand. 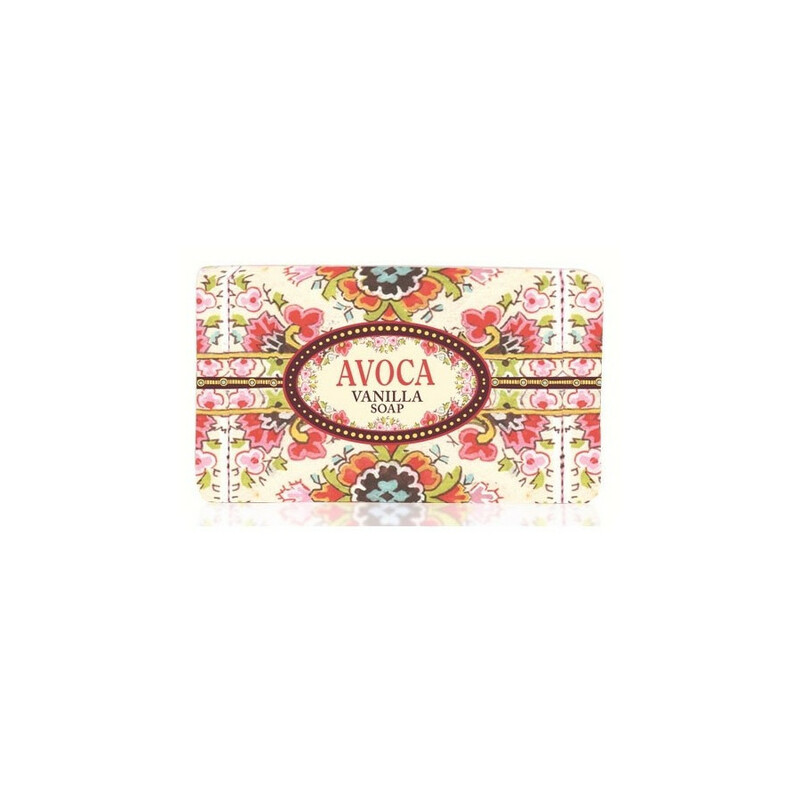 This unique blend of traditional Irish craft and ancient savoir-faire accounts for Avoca’s high quality, attractive products. This great success keeps Avoca seeking out the beautiful and the unusual, striving for uncompromising innovation and amazing styles. Ingredients: sodium palmate, sodium palm kernelate, water, perfume, glycerin, sodium chloride, shea butter, titianium dioxide (CI77891), tetrasodium EDTA, tetrasodium editronate, benzyl alcohol, coumarin, benzyl benzoate. 100% from vegetal origin. This product has not been tested on animals.